Elvis Presley was an early and important figure in changing the landscape of music in his day. The King of Rock n Roll grew up listening to spirituals and crooners such as Bing Crosby and Frank Sinatra. However, he would usher in a new generation of music for the post World War II youth. 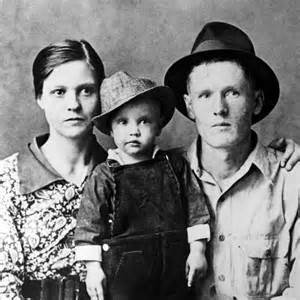 Elvis Aaron Presley was born on January 8, 1935 in Tupelo, Mississippi to Vernon Elvis and Gladys Love Presley. He was preceded by an identical twin brother, Jesse Garon Presley. 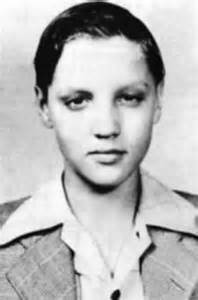 His brother was stillborn at birth, leaving Elvis an only child. However, throughout his life he mentioned a close connection to Jesse. No other siblings followed and Elvis formed a close bond with both of his parents, but especially his mother. Vernon supported the family with various odd jobs. Elvis early years were spent in a small one room house. After losing the house, the family lived with family and in various houses and apartments over the years. In his neighborhood and church, he had a strong African-American influence where he learned a lot of the spirituals. As a teenager he loved a variety of musical styles from blues to country to Southern gospel to the ballad styles. These musical genres influenced his music in later years. In August of that year he recorded two songs with Sun Records. When asked about his style, he “I sing all kinds…I don’t sound like anybody.” The following January, he recorded two more songs with the studio, failed an audition with a local quartet and was rejected after auditioning as a vocalists. He began driving a truck during this time. In July 1954, Elvis recorded a long session that seemed unfruitful at first. Late in the session he recorded the blues number, “That’s All Right” and began moving to the song. The producer realizes this was the sound he’d been looking for. The song soon appeared on radio and listeners began calling in expressing interest. The door was open and a single was soon released of the song. 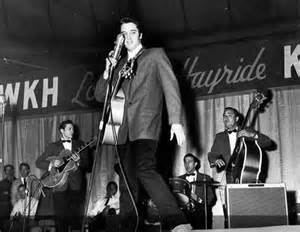 Elvis soon began performing at various venues. He made his only appearance on the Grand Ole Opry on October 2. He would become a regular on the Opry’s rival, Louisiana Hayride. The show led to his TV debut. By early 1955, he was a regional success and came to the attention of Colonel Tom Parker, who was considered the best promoter in the music business. Many radios stations refused to play his music, not knowing how to label him. For some he was too country and for others had too much of a blues sound, while others stated he sounded more like a hillbilly. In November he signed with RCA Records, which began heavily promoting him. In January 1956, he appeared on his first National TV program, Stage Show. More appearances followed and “Heartbreak Hotel” became his first #1 pop hit. 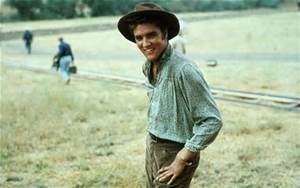 His first movie, Love Me Tender, was released on November 21. Jailhouse Rock was released in theater’s October 1957. By the time he was inducted into the US Army on March 25, 1960 he was an international star. He felt that his career was finished because of his Army stay. His beloved mother died on August 12 of that year. While stationed in Friedberg, Germany he met 14-year-old Priscilla Beaulieu. This producers had a substantial amount of unreleased material which they released at strategic intervals during the two years he was serving his country. This kept him fresh in the minds of his fans. Now the time had come to leave the Army and return to his public. Would he be able to make the comeback he hoped for? ← Profile of a Performer: Elvis is Back!